Treats tough skin problems caused by burn wounds, dry skin, laser treatments, sun damage, psoriasis, stretch marks and more... it's the go-to cream for your skin conditions. 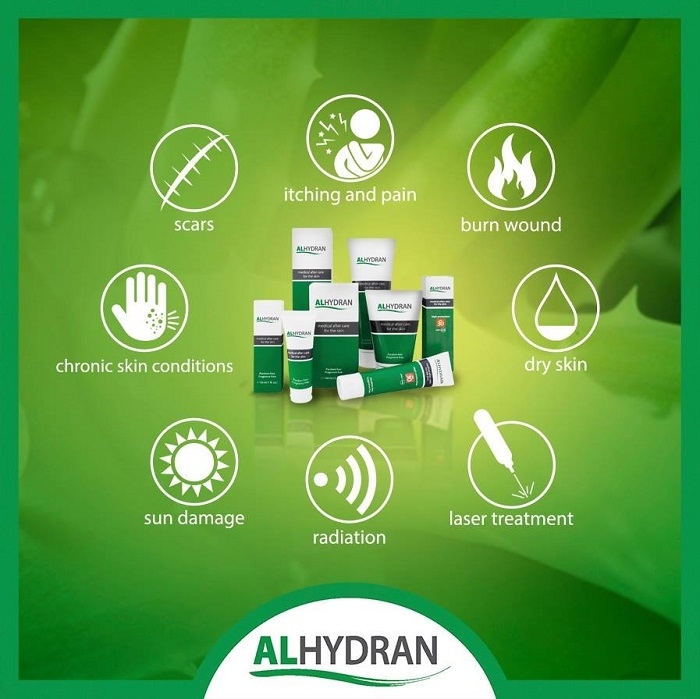 Alhydran SPF 30 offers high-level sun protection. This medical hydrating cream offers protection against both UVA and UVB rays. - 45% aloe vera gel which moisturises into the deepest layers of skin. - Jojoba oil, vitamins E adn C to heal and recover damaged skin. Apply at least three times daily, or when the skin feels itchy, dry or irritated. Apply thinly and rub in gently until it's fully absorbed into the skin.